Beginning Tuesday, September 29th, a portion of Broadway will be detoured for a Camden County road project that could take up to a year to complete, adjacent to the Broadway Terminal. The work will close the corridor from Morgan Boulevard to Woodland Avenue for at least a year. Vehicles traveling from the City of Camden toward Gloucester City will be directed off Broadway at Morgan Boulevard. Motorists can take Morgan Boulevard to Route 676 to Route 130 to Market Street in Gloucester City; that route will bring drivers back to Broadway. Cars traveling from Gloucester City to Camden should turn off Broadway at Market Street and proceed to 130 where they can take 676 to the Morgan Boulevard exit in Camden to return to Broadway. 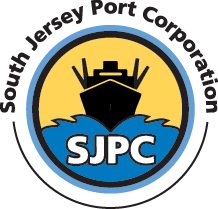 An alternate, truck-only route has been established for large commercial vehicles to access the South Jersey Port. To report concerns on Camden County roadways, call the public works hotline at (856) 566-2980 or visit www.camdencounty.com.